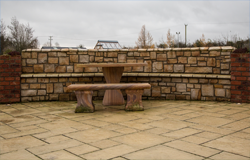 Leitrim Stone is a very popular choice of sandstone used in modern construction projects throughout Ireland. 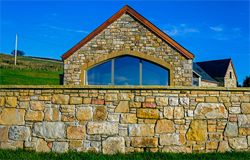 Leitrim Stone is a truly distinctive natural sandstone quarried at Glenfarne in county Leitrim. Suppliers of Architectural, Commercial, Building, Building Stone and Paving stone. The unique blend of colour tones in the stone makes it distinct from other available natural stones. Its impressive physical and decorative properties make it uniquely suitable for both internal and external applications. 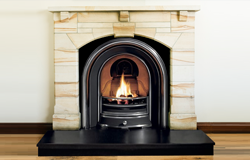 Leitrim stone is competitively priced and supplied roughly squared and rock-faced ready to build. If you have any special requirements, or questions for us, please feel free to contact us using the form on out Contact Us page. 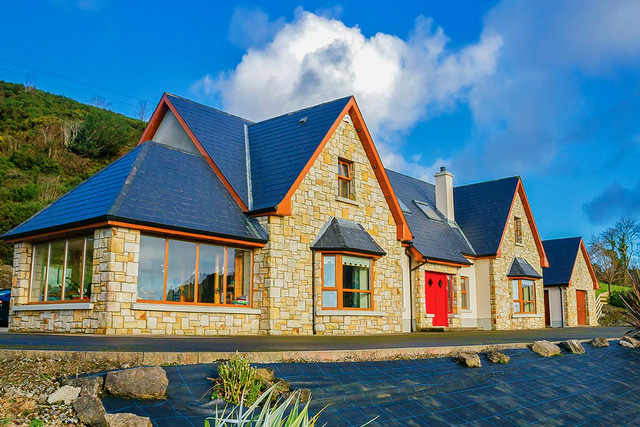 Leitrim Stone is a very popular choice of sandstone used extensively in modern construction projects in Ireland today. 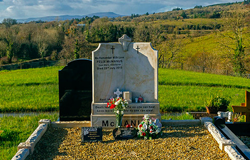 Distributed in many counties throughout Ireland, Leitrim Stone is utilised in a wide variety of constructions and developments both Residential & Commercial as well as in Civic Buildings, Public Amenities and Churches. Natural stone is widely recognised for adding colour and architectural quality to any building.